ArcGIS Online analysis tools enable you to perform a variety of tasks, including summarizing data, finding locations, analyzing patterns, data enrichment, and more. Presented in an easy-to-use context, knowledge workers in your organization are empowered to use tools formerly available only to GIS professionals. And GIS pros alike are empowered, having a wide variety of analysis capabilities available directly within the map viewer. Credits are consumed when you use analysis tools, and the specific tool, tool options, and the number of features involved directly influences the number of credits used. 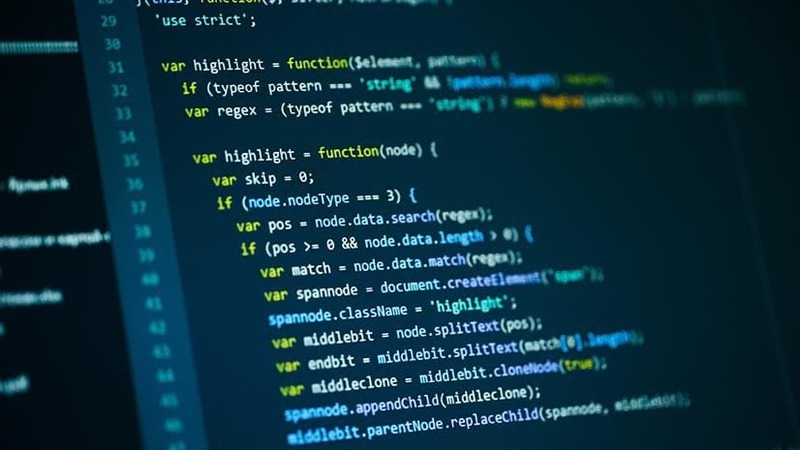 While most analyses consume very few credits, others (like batch geocoding and geoenrichment) can tally-up significant amounts of credits for large numbers of features. Here’s some tips on how to manage and economize analysis tool credit consumption. 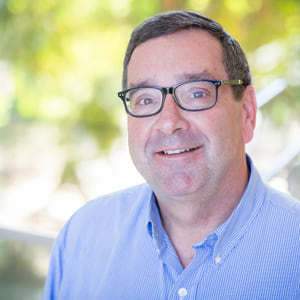 Savvy administrators will govern access to analysis tools, and other functions within an organization, by assigning the appropriate organizational role to members. Of the default roles available – User, Publisher, Administrator – only publishers and administrators can use analysis tools. You can also create custom roles for members of your organization, allowing you to further refine access to certain types of capabilities. You’ll find a complete list of the available tools in the Perform analysis help topic, where you can also learn about the detailed privileges needed to use them. 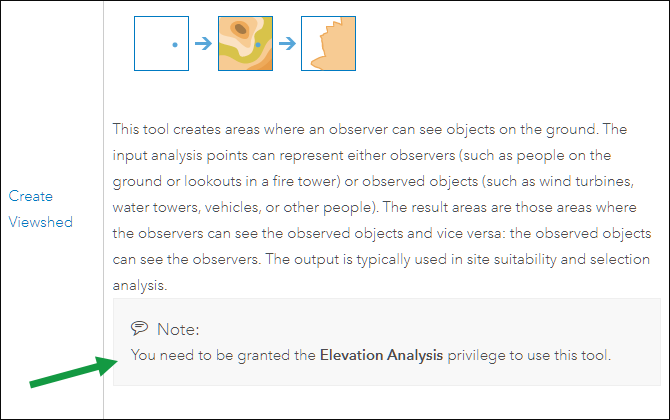 For example, Create Viewshed requires Elevation Analysis privileges. Using custom roles, you can fine tune analysis capabilities by checking the desired capabilities in the Premium Content category. Administrators can also configure credit consumption for members. While not limited to analysis tools, these limits apply to members using them. You can preview the credits that will be consumed prior to running an analysis. Set tool options and prior to clicking Run Analysis, click Show credits to preview the credits that will be used. Some tool options will increase credit consumption. 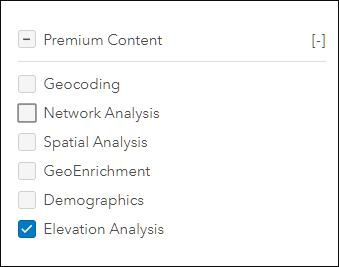 For example, if you choose lots of geoenrichment variables the number of credits consumed will increase, so consider the options before running the analysis. The number of records that are processed will impact credit consumption. You can check Use current map extent and zoom to the location of the features you want to analyze. This limits the number of features used, and minimizes the credits consumed. If the box is unchecked, all features are considered, which will increase the amount of credits consumed. A filter enables you to apply queries to any feature layer, limiting the view to matching features. The analysis tools honor filters, so they can be used as another way to limit the number of features used in an analysis. This post was originally published on July 26, 2016, and has been updated.